Next week I will be examined on the quality of the theological synthesis I will bring to the world from my education at Boston College. One of the exam’s practice questions captured my attention in the way it tied the theological virtue of hope with Christ’s Resurrection, and asked how we would speak of such lofty concepts to a person whose loved one had died by an act of injustice. 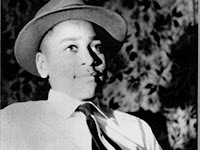 As we approach the MLK holiday, I’d like to apply the practice question to the compelling example of injustice in the death of Emmett Till. For those who don’t recall, Till was the black teen who was tortured and murdered for “whistling at a white woman” in 1955. Hope is one of three theological virtues. Karl Rahner argues that hope flows directly from the will of God, and unifies faith and love. All three virtues orient humankind toward an ultimate future known already in the Resurrection of Christ. Anthropologically, hope is the acceptance of an orientation toward God with which all men and women are made capable of receiving Revelation. Rahner correlates hope with courage suggesting that its expression willingly renounces what is “unnecessary in the present” for what is promised in the absolute future by an “uncontrollable and incalculable God." How do we grasp such a renunciation when that which is “unnecessary” is one’s own son? Clearly Christ’s Resurrection indicates that human beings are not created to be perishable, but to live a transfigured life eternally in union with God. What is “unnecessary”, therefore, is not the person who dies, but the control we desire over how our lives will unfold in relationship with others. Till’s person today connects to millions of others who live an embodied existence, a fact easily proved in any U.S. history class. Through a concept developed by Louis-Marie Chauvet, his presence to us now can be understood symbolically as the "presence of an absence." Somewhat controversially, Chauvet used this phrase to explain how Christians throughout time experience the risen Christ. Mamie Till’s choices illustrate both Rahner’s correlation of hope with courage, and Chauvet’s symbolic “presence of an absence”. 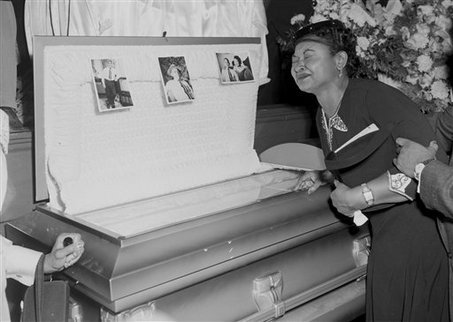 By allowing the press to make her son’s wounds visible to all who read a newspaper, and by requiring that the coffin be opened in spite of the stench of her son’s rotting flesh, Mamie Till mediated the presence of her son’s absence in a powerful memory that continues to mobilize Americans in favor of a better justice. When she demanded that Mississippi authorities deliver her son’s body to Chicago, Mamie Till could not have experienced hope as the oft-confused sunny disposition of optimism. Like Mary, mother of Jesus, Mamie Till faced suffering with the vision of faith, something which allowed her to perceive a larger story than the one her own sorrow wanted to write. The alacrity of her hope allowed no room for despair, nor did it presume that God would act without her cooperation. Such a vision implies that we are invited to receive and act on the transcendent plan of God, even while God remains “incalculable and uncontrollable”. The painful challenge of Rahner’s hope-as-courage, as well as of his image of God as uncontrollable mystery, is evidenced by the fact that both killers (J.W. 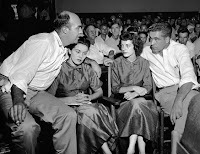 Milam and Roy Bryant) were acquitted at the trial, and brazenly admitted to the murder afterward when they were no longer in danger of being retried for the same crime. Their acquittal reveals the hard truth that Christian hope is not primarily a state of mind (optimism), but a state of persistence through suffering toward God’s end in mission. Christian hope exerts itself for the coming of the Kingdom of God, something which would be an impossibility without the Resurrection of Christ. But the Resurrection itself is a Trinitarian act, and indicates the importance God places on perfected relationships. 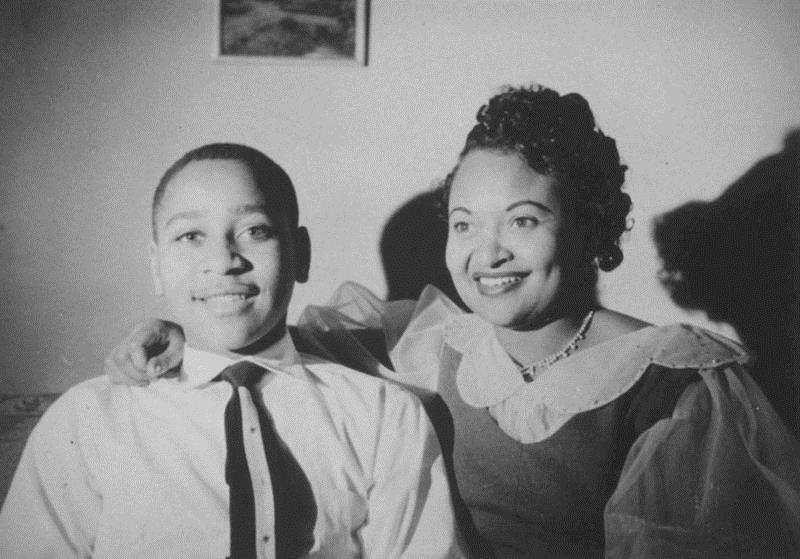 Because Mamie Till believed that her own relation to her son was held in the light of a larger relation to God, she knew that the secular acquittal of injustice was not the last word. The first and last Word of God is raised in the love of the Trinity, a love whose distinctions of divinity are nonetheless held in absolute unity. 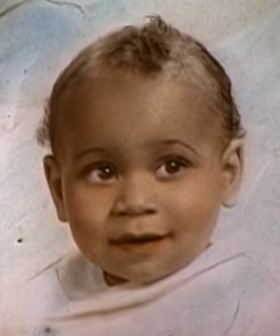 This love affirms that there is only one category of “race” that matters in the end. 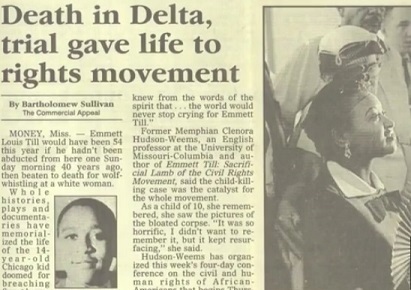 On this knowledge of God, Mamie Till placed all her hope. Rahner, Karl, On the Theology of Hope, Theological Investigations, vol. 10, ch 13, 1968. Chauvet, Louis-Marie, Symbol and Sacrament. 1995.